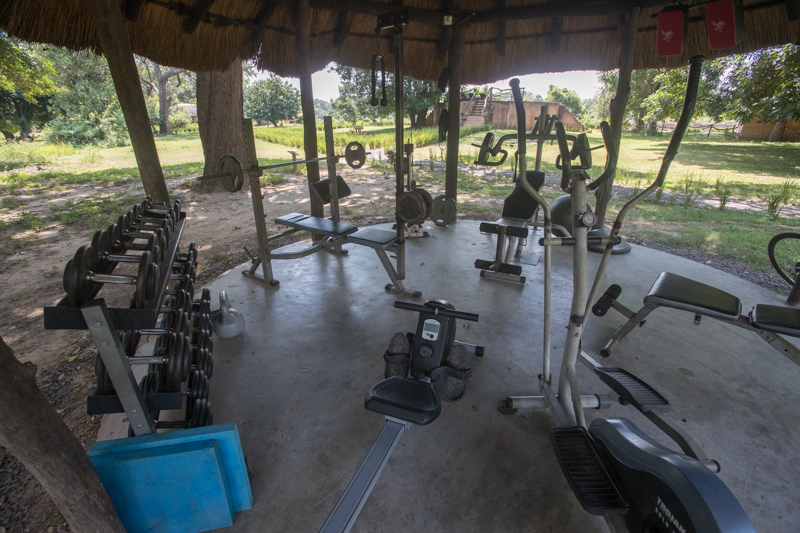 Facilities at Track & Trail Include: Spa, Riverfront Swimming Pool, Bar & Restaurant, Outdoor Gym, Curio Shop and Internet. 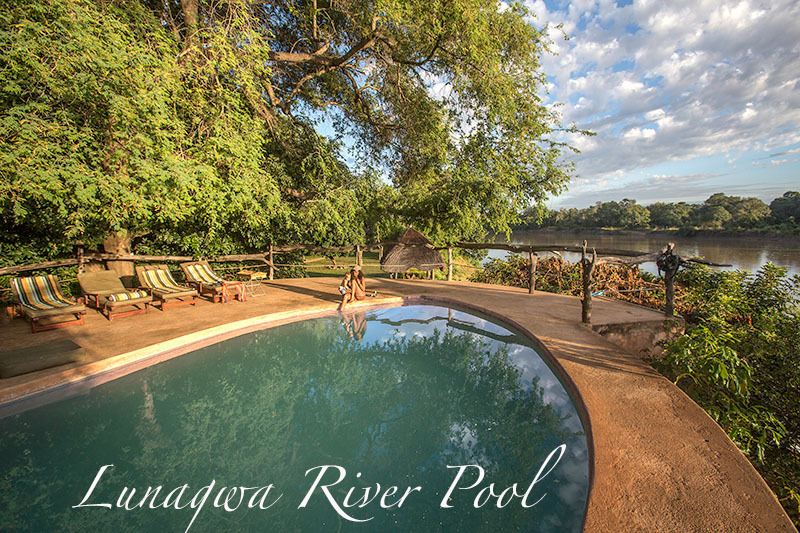 If you need to cool down, what could be better than a swim in our large riverfront swimming pool. 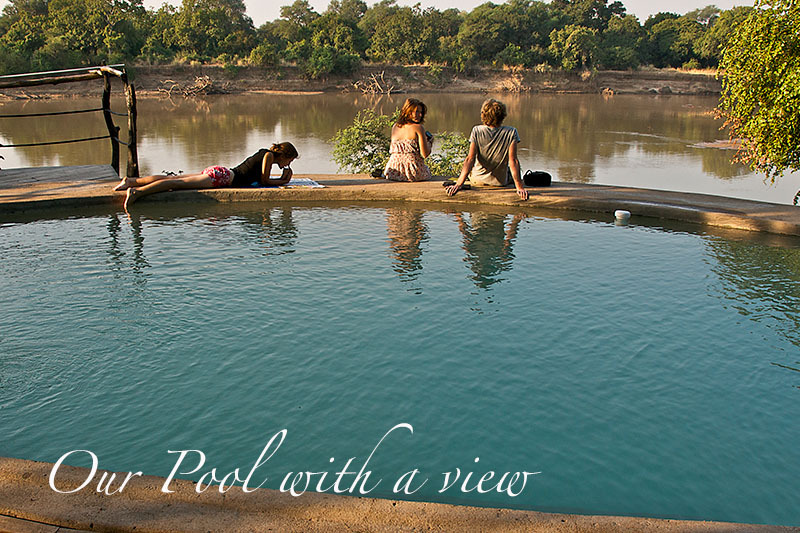 Our centrally located elevated swimming pool lets you take a refreshing plunge without missing out on the view. 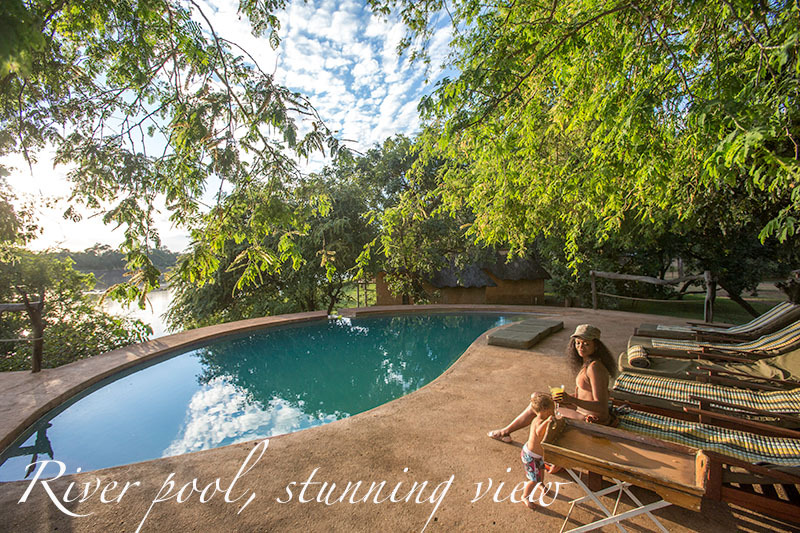 Dry yourself in the sun, catch a tan and enjoy a long, lazy afternoon, lounging at the pool. 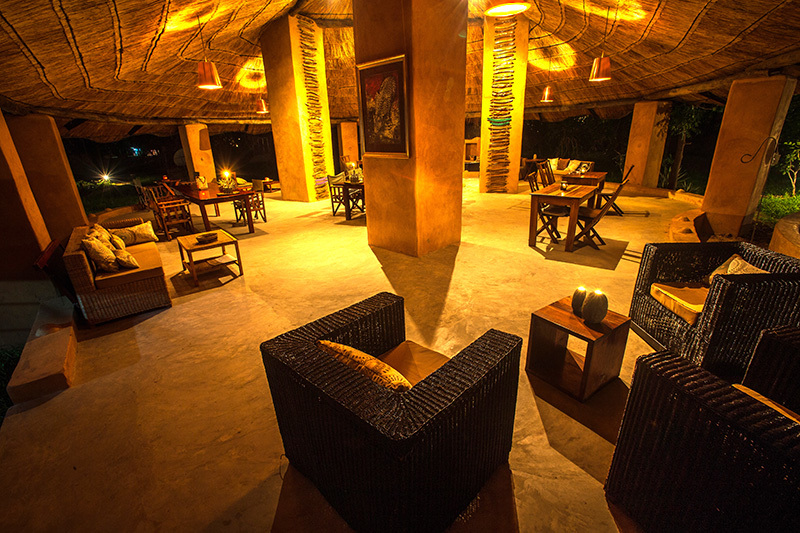 Welcome to the Lime Tree Lounge & Dining experience. 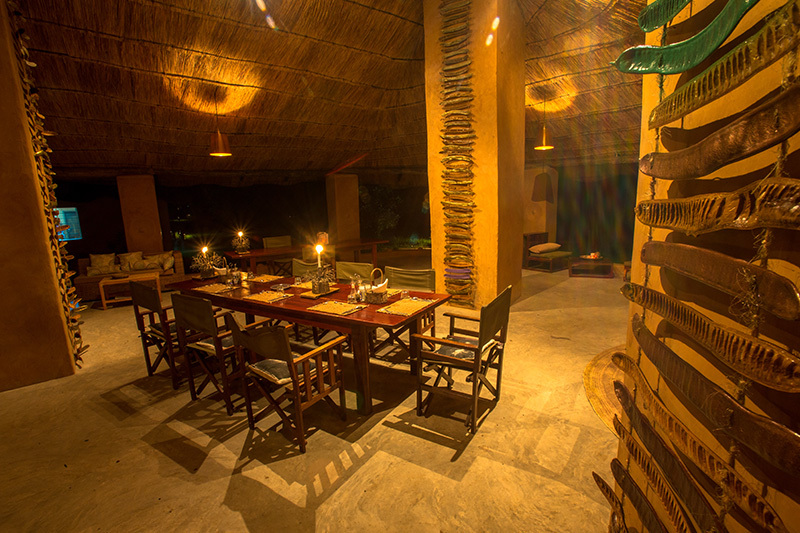 Here dining options are designed to make your stay diverse, exciting and slightly adventurous. 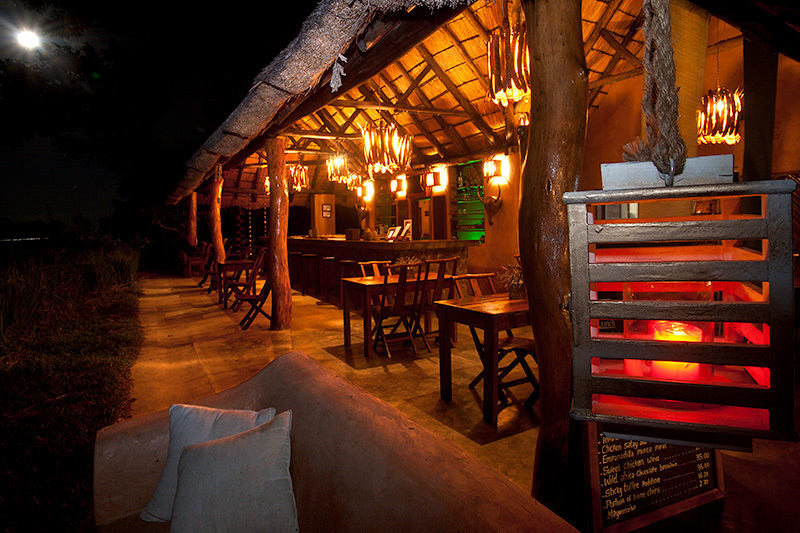 Our chef and his team will produce a combination of international & pan-African style dishes and variable specialties depending on ingredients available. 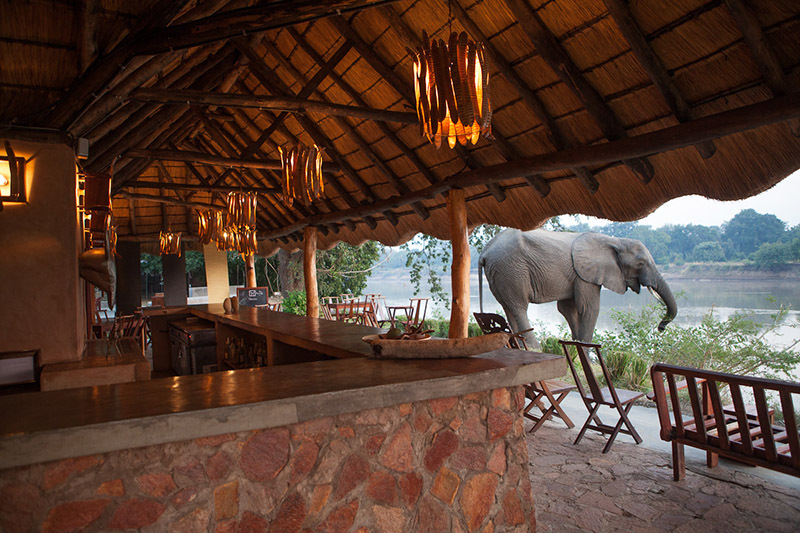 And….if you want to challenge your own cooking abilities, simply ask for your own table bbq and choose & prepare your food just the way you like it. 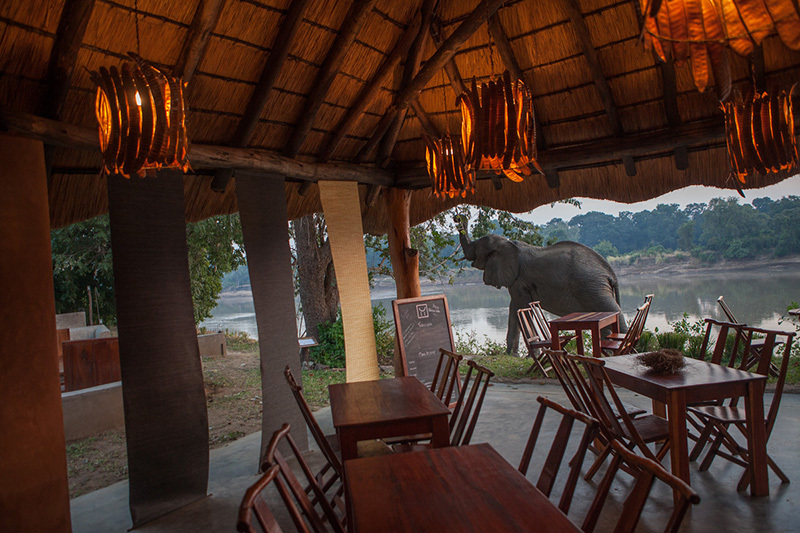 Our lounge & dining area is an international meeting place of people with the same interests….enjoy the ambiance and listen to personal experiences or simply to the sounds of the bush. 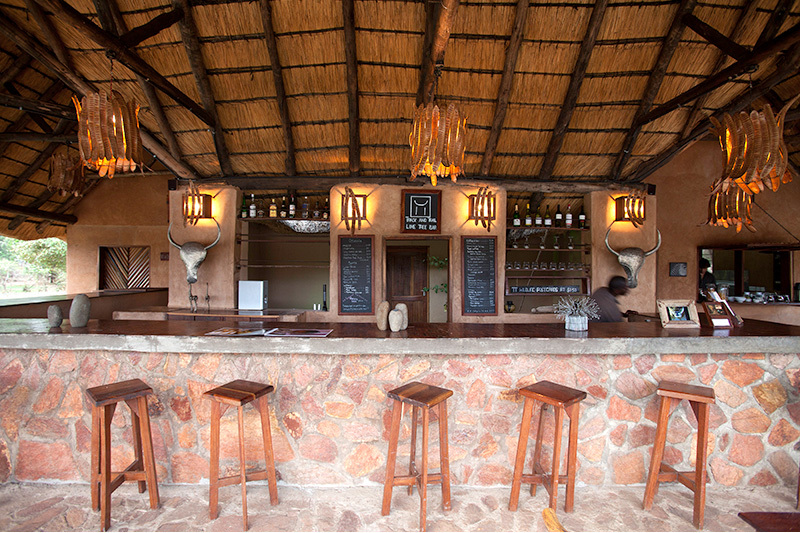 When the evening falls, our bar is the place to meet. Swap holiday adventure stories over a glass of vodka & lime, Track & Trail’s ´unofficial´ official drink or join us around the campfire. 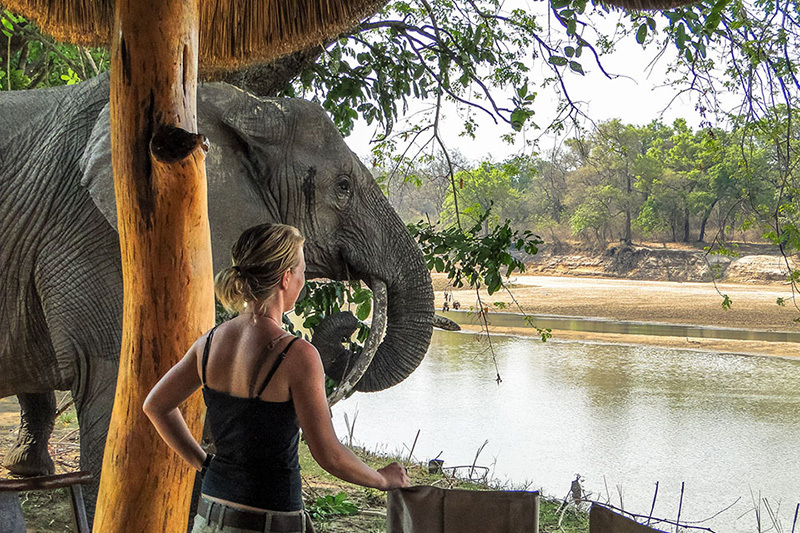 Spending the greater part of the day in a safari vehicle and being served with tasty meals and snacks throughout the day will not make you lose weight. 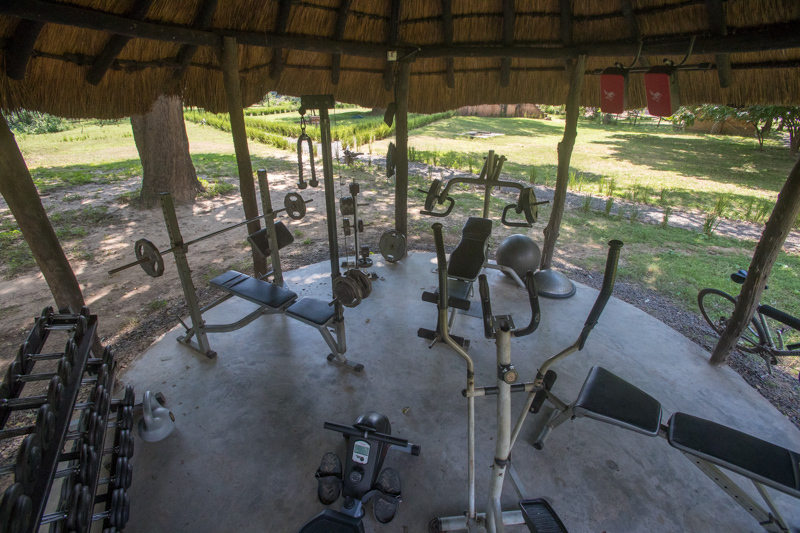 Therefore, for everyone that wants to burn of a few calories or just wants to exercise, we have an outdoor gym. 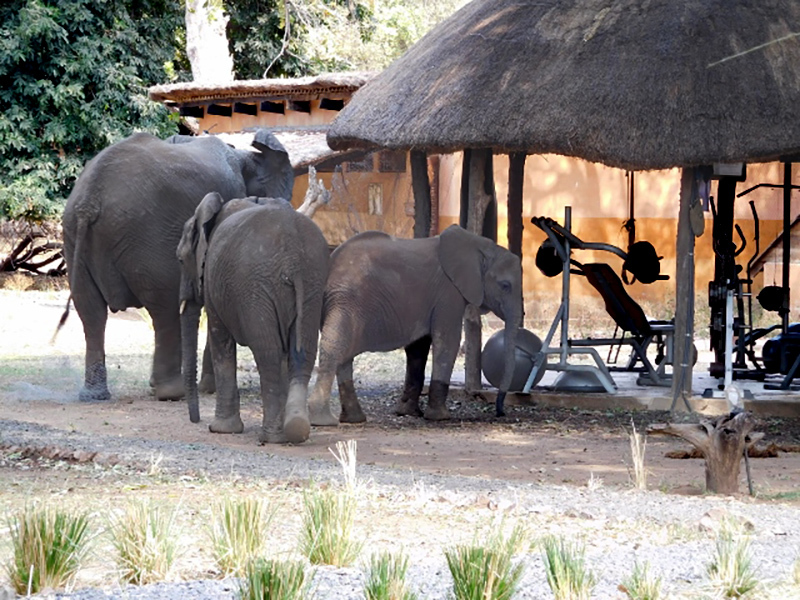 The gym is a perfect place to exercise without missing a minute of the wildlife action. 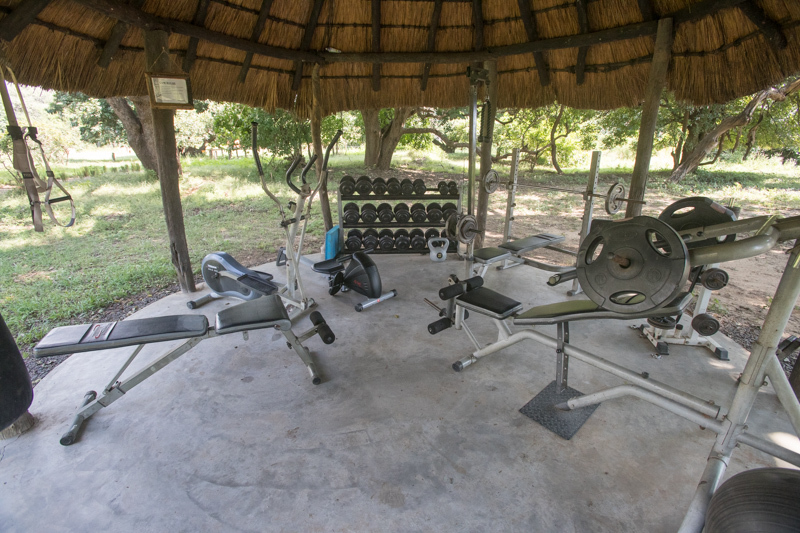 Small and intimate and equipped with cardio and strength training machines, weights and exercise balls to get that blood flow pumping. And after a workout you can always cool-down under the outdoor shower followed by a refreshing dip in the swimming pool. 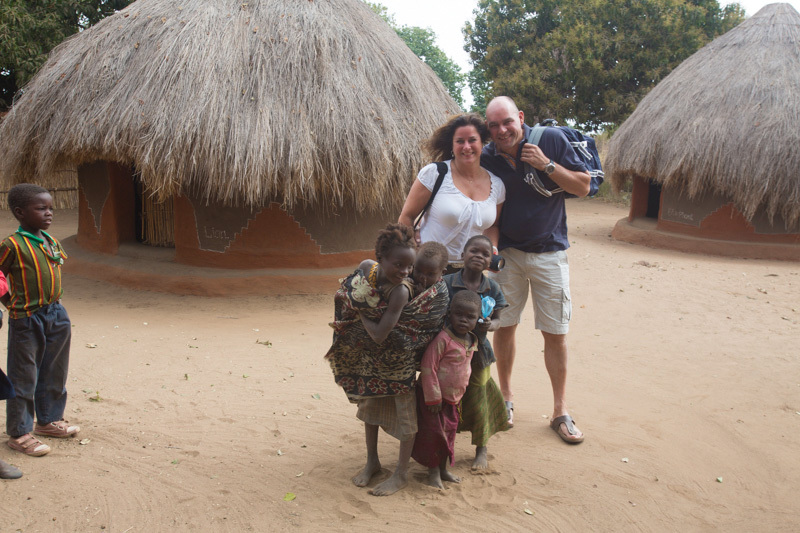 What is a Zambia safari without getting to know the local people and to discover their traditions and culture. 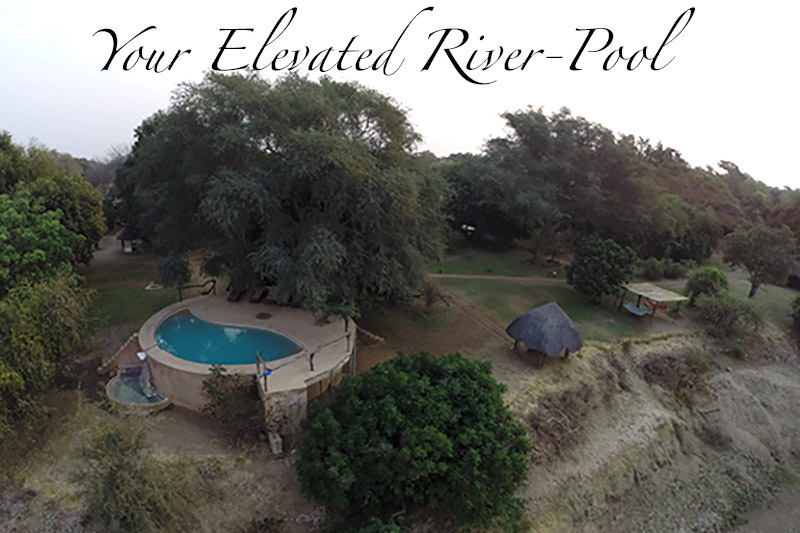 We can take you to Kawaza village were the friendly Kunda people welcome you to share their traditional way of life with you. 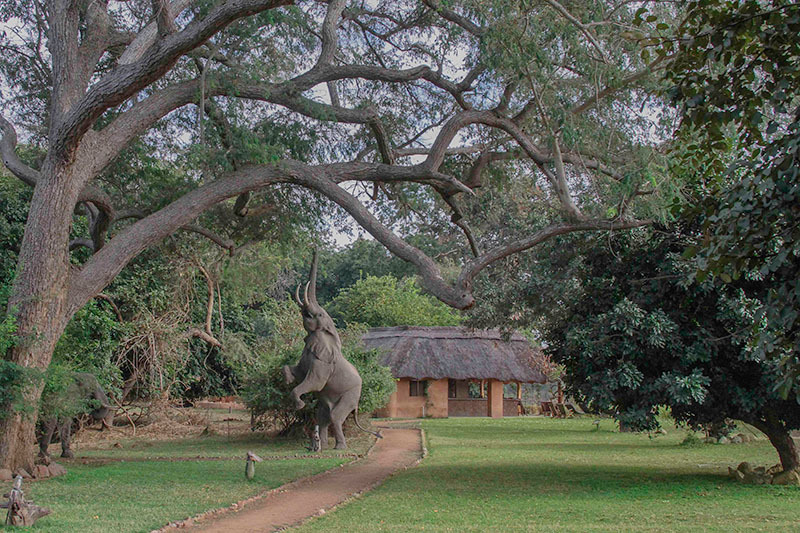 During your 3 hour visit you can experience daily life at the village and you can even take part in activities like pounding maize or brewing Kachasu, the local beer. 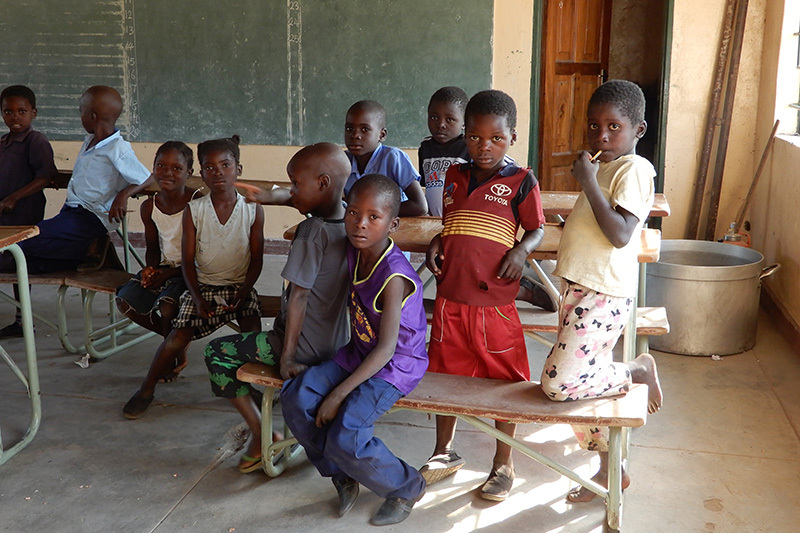 You can visit a school and interact with the students and visit the Traditional healer. 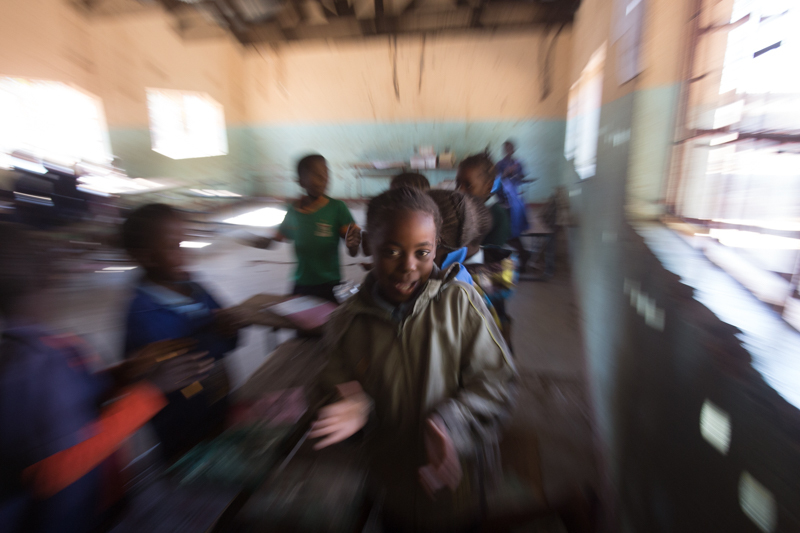 The traditional healer inherits healing powers from generation to generation and knows everything about natural medicine which is still used by the local people. 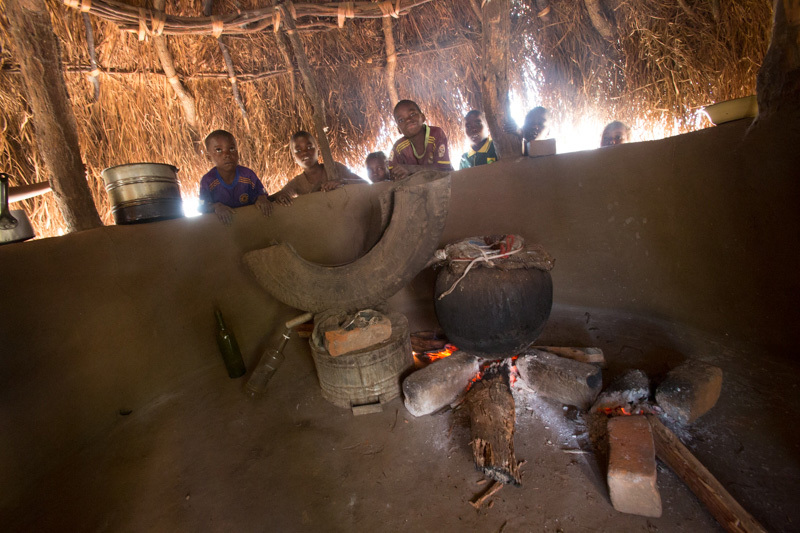 The Kunda people will prepare a lunch and invite you to eat their traditional dishes together. 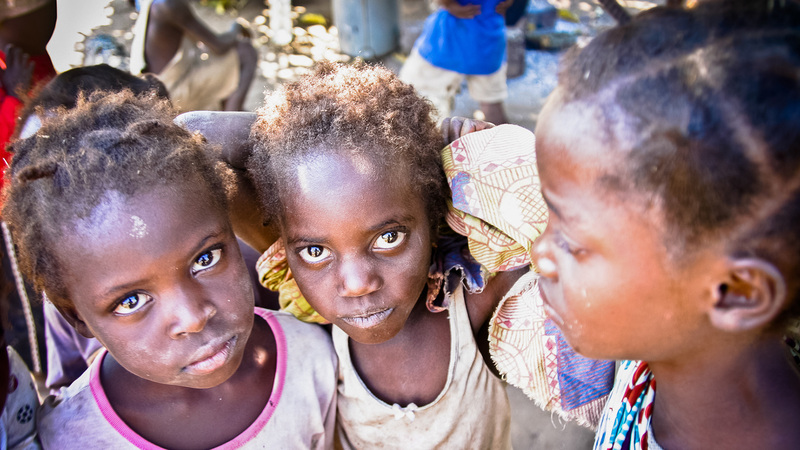 Afterwards they will show you their traditional dances and tell you old exciting Kunda stories. 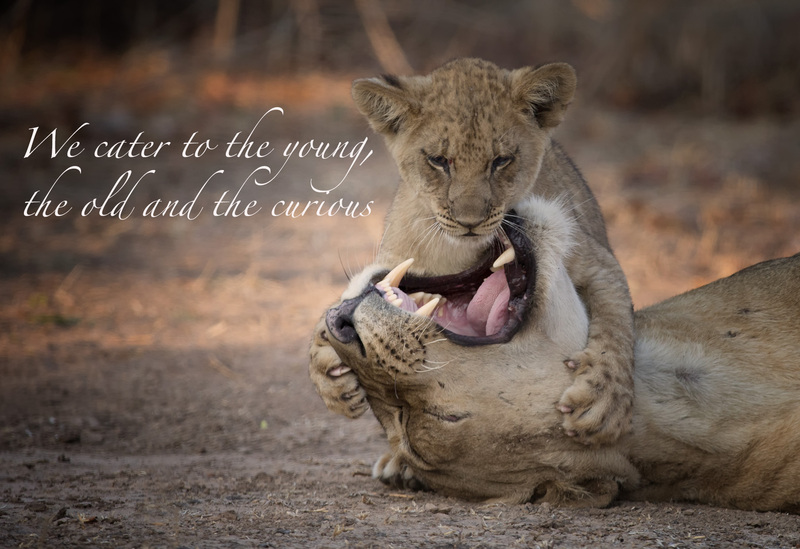 What better way than to get in touch with the local people and being part of daily life to understand the essence of a safari.